Dr. Shahla Masood is a Persian born physician, who currently holds the positions of Professor and Chair of the Department of Pathology at University of Florida College of Medicine – Jacksonville and Chief of Pathology and Laboratory Medicine at UF Health Jacksonville. She is also the Director of the Cytopathology and Breast Pathology Fellowship Training Program. In addition, Dr. Masood is the Medical Director of UF Health Breast Center. An internationally recognized expert in breast cancer diagnosis and prognosis, Dr. Masood has fostered the concept of an integrated multidisciplinary approach in breast cancer care, research, and education. 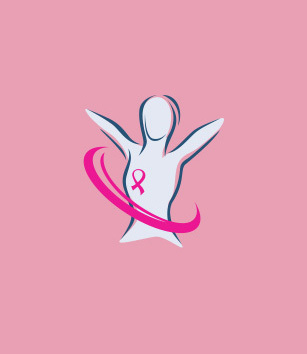 Dr. Masood joined the Florida Breast Cancer Foundation (FBCF) in 2006. She serves as a Member of the Board of Directors and Co-Chair of the Scientific Committee for FBCF. She is the founder and Editor-in-Chief of The Breast Journal, the founder and past president of the “International Society of Breast Pathology,” the Director of the “Annual Multidisciplinary Symposium on Breast Disease,” and “The Breast Cancer Public Forum”. Dr. Masood is heavily involved in the study of minimally invasive procedures such as fine needle aspiration biopsy and ductal lavage in providing diagnostic and prognostic information in high risk and breast cancer patients. She defined the cytomorphology of high-risk proliferative breast disease in the early 1990s and has pioneered the concept of cytomorphology as a breast cancer predictor. Dr. Masood is the author of several textbooks, book chapters, and numerous publications. She is a frequent speaker at national and international symposiums and consensus meetings. She is also a member of the board of trustees of several prestigious scientific societies and organizations at local, regional, national and international levels. Dr. Masood has received numerous awards and recognition for her scientific work, her contribution to advancing global breast health education and her efforts to improve the quality of breast health care. She is the recipient of “The 2010 Breast Health Global Initiative Award,” “Courage to Teach Award” from National Accreditation Council for Graduate Medical Education, and Florida Times Union “Eve Award,” to name a few. She has been named as one of the Top Doctors in America, Top Doctors in Cancer and one of the 20 Top Most Influential Professors in Oncology at an international level. In 2015, Dr. Masood was honored in Rome, Italy by Susan G. Komen Italia, a partnership between Susan. G. Komen and the Catholic University in Rome for her widespread contributions to breast cancer advocacy, and initiation of the Italian “Race for the Cure” in 2000. Dr. Masood is a patient advocate, a partner in community affairs and an accomplished artist and gourmet chef. She is the mother of two accomplished physicians, Dr. Ali Kasraeian, a urologist, and Dr. Sina Kasraeian, an orthopedic surgeon.